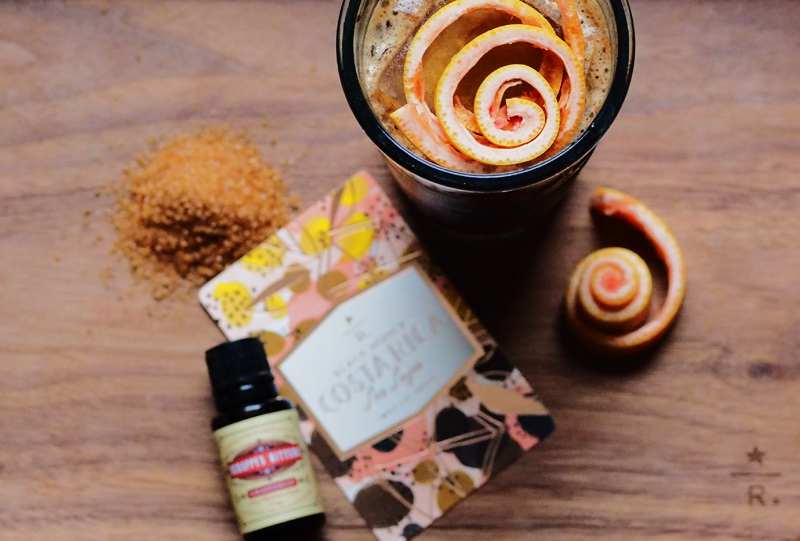 If you’ve been to the Roastery or a Starbucks Reserve bar recently, you might have seen a drink on the menu called the ‘Melrose’. The Melrose is Starbucks twist on a manhattan, cold brew, demerara sugar, cherry bitters topped with a cherry. When I visited the reserve bar in New York last month, I fell in love with this drink, and knew I wanted to recreate it at home. 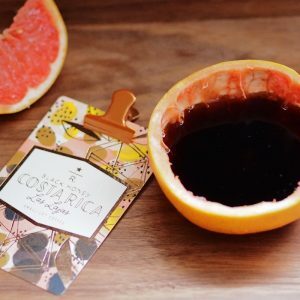 When Costa Rica Las Lajas launched, I was taken aback by the intense grapefruit notes in this coffee, and thought that this might make the perfect cold brew. It is crisp, sweet and refreshingly tart. I decided to make my own version of the Melrose using this coffee. #notacoffeecup Costa Rica Las Lajas served in a grapefruit cup….